Being different from the National Parks, the natural parks are the natural areas where ther are protection, resting and tourism fields with their natural resources rare both nationally and internationally. Thre are 17 Natural Parks in Turkey. These natural parks are 69.370 hectare in total. The Park is located within the district boundaries of Sandikli of the province Afyon; and those of Civril of the province Denizli. It is aimed to effectively protect the wide variety of the wild life, the variety of flora, interesting canyons, valleys, and landscapes in Akdag and its surroundings; and to deliver them to the next generations as national heritage. 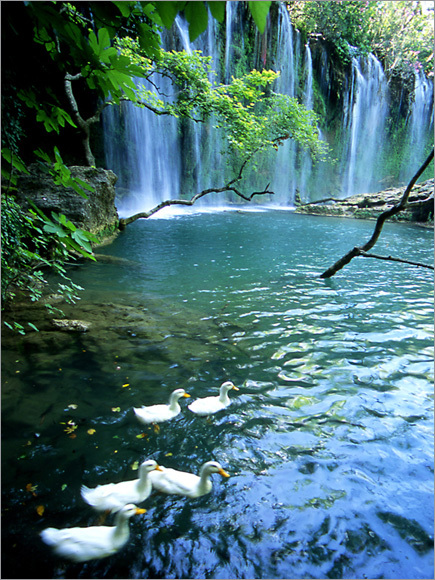 The Park is within the central boundaries of the province Antalya in the Mediterranean Region. It is 22 km. distant from Antalya. The Natural Park has good forests and wonderful natural landscape having a wide variety of flora which are excellent when combined together with the interesting water and rock formations; and it has Kursunlu Waterfall; besides, the fauna of the park is composed of wild pig, rabbits, foxes, squirrels, bats, hoopoe, woodpecker, carps, turtle dove, flippers, snakes and lizard. The Park is within the district boundaries of Soke of the province Aydin in the Aegean Region. Lake Bafa is 25 km to the district Soke. Lake Bafa became a lake as a result of the geomorphologic formation of Buyuk Menderes Delta although it was one of the bays of Aegean Sea previously. Maximum depth of the lake is 25 meters. The fauna of the surroundings of the lake is composed of mirage, olive trees and pine forests. Lake Bafa is an appropriate area for lots of endangered bird species to breed and to survive during winters. Moreover, there are various types of fish living in the lake. The ancient city Heraklia lies on the southeast outskirts of Besparmak Mountains forwarding vertically into the sea. Athena Temple, Agora, Council House, Turkish Bath, Theatre, Fountain, Endymion Temple is in the ancient city. The park is within the provincial boundaries of Balikesir in the Marmara Region. Ayvalik and the biggest island of Ayvalk Islands which is Alibey Island are connected through a highway. The submarine topography constitutes wonderful and rare views. Some of the islands are lack of vegetation while some are has scattered vegetation. The landscape in the Seytan Sofrasi is worth seeing; there are facilities such as water sports center, diving center and underwater fishing in Gunes Island. The park is within the central boundaries of the province Bolu in the Western Black Sea Region. It is 33 km to Bolu. The wide veriety of flora and the clean air in Lake Abant and its surroundings attracts the visitors. The flora of the park is composed of scotch pine, beeches, black pine, oak, poplars, ash tree, hornbeean, forest rose, willows, junipers, mirage, nut trees, medlar, thorn apple, rose hip, bracken, blackberry trees, strawberry, mint, raspberry, ivy, nettle, horsetail and grasses; the flora of the park is composed of pigs, bears, roe deer, foxes, jackals, rabbits, and predator and other birds. The Park is within the central boundaries of the province Corum in the Middle Black Sea Region. The dominant are tree species black pines in the park. Foxes, rabbits, wolves, birds and partridges compose the fauna of the park. The park is within the district boundaries of Torul of the province Gumushane in the Eastern Black Sea Region. There are five lakes on the eastern side of Karagol Mountain; Lake Karanlik on the northeastern outskirts of Artabelinbasi Hill, four lakes- known as Besgoller- on the northeastern outskirts of Sofraninbasi Hill, three lakes- known as Karagoller- on the southeastern side of Gavuragi peak within the Park. Lots of crater lakes are appropriate for the survival of mammals and birds within the region. 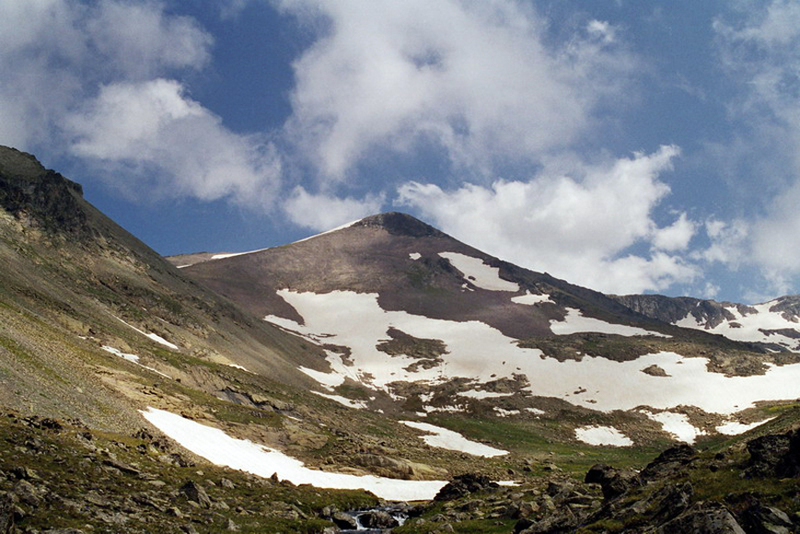 Therefore, Artabel Lakes Natural Park has a wide variety of flora and fauna. There are scotch pines and fir trees in the forests of the region. This natural wonder bearing 18 lakes is worth seeing. The park is within the district boundaries of Sutculer of the province Isparta in the Mediterranean Region. Having a unique landscape beauty with its vegetation and wide variety of wild life as well as its archeological resources, the Natural Park has red pines, alders, oak, cedar, junipers, walnut trees, carob tree and olive trees as flora. The fauna of the region is composed of pigs, chamois, foxes, badgers, otters, rabbits, squirrels, eagles, red vultures, falcons, pigeons, turtle dove and partridges. You may have the opportunity to have picnics; besides, it is a suitable field for trekking. The park is within the district boundaries of the province Isparta in the Mediterranean Region. It is 12 km to Park Isparta. We can list black pine, red pine, locust tree, oak, cedar as the tree species; and oak, laden, and macquis like bushes as the shrubs in the flora of the ParkThe fauna of the region is composed of badgers, foxes, rabbits, hawks, partridges, pigeons, quails, carp, silverfish, snakes turtles and frogs. The Park is suitable for trekking and having picnics. The park is within the district boundaries of Beykoz of the provinces Istanbul in the Marmara Regions. Hornbeam, beech, elm tree, alder, chestnut and lime tree from the leafed trees as well as trees with needles and various sub-floras compose the wide flora of the region. The wild life in the region is rather broad. Furthermore, the park is the place for thousands of birds to stay and feed at the period of migration of storks and predator birds in springs and falls. The park has a historical value. This territory hired by the Prince Adam Czartoryzki 1842 for the migrating soldiers has been settled by Pole soldiers after the Crimean Wars. Today, the residents of Polonezkoy protect the heritage of Poland and their culture. The residents made this region a vivid place for tourism. The Park is in the Haciosman Section of the district Sisli in the province Istanbul in the Marmara Region. The flora of the park is similar to that of Belgrade Forests. Coastal pine, black pine, and oak are the most dominant trees in the region. The most dominant animal species are jackals, wild pigs, reptiles and birds. The Park meet the needs of the people of Istanbul in terms of enjoying, having rest ad doing sports thanks to its view and quietness; and it is at the entry of Bahcekoy Highway to Haciosman. Near the Park are Fatih forest, Belgrade Forests, Fatih Cildren Forest and Recreational Areas in the Forest. Beskayalar is within the district boundaries of Golcuk of the province Kocaeli is 26 km to İzmit. The region is of special importance thanks to its plateus, caves, camping areas with tents and trekking routes. Kirazdere river has been formed by the connection of Sicakdere river having its spring in Bursa and Sogukdere having its spring in Sakarya in the southeast of Bahcecik Town; and this river flows into Izmit Gulf. 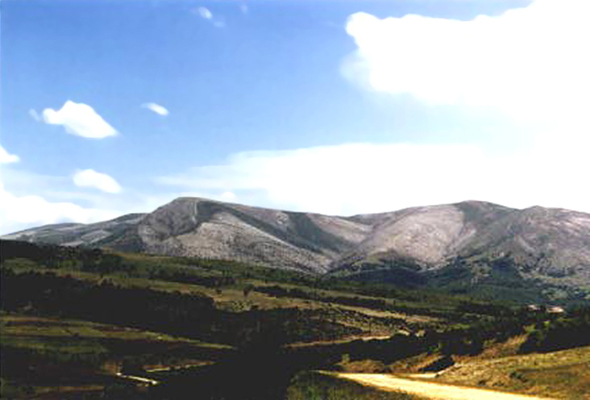 The name of the region which is Beskayalar stems from the five high rock cliffs at the connection point of the abovementioned rivers. Menekse Plataeu is also in the region. Black pine, badger, fir, beech, oak, hornbeam, maple, elm tree, linden tree, chestnut, ash tree, poplar, plan tree, nut tree, alder, terebinth berry, cornelian cherry, elder forest rose, rough apple, rough plum, rough cherry, forest ivy, blackberry tree, mint are the plant species composing the flora of the park. The wild life of the region is rather wide. The fauna of the region is composed of wolves, bears, jackals, foxes, pigs, rabbits and squirrels. There are tour operators organizing trekking trips to the region especially at weekends. The park is within the provincial boundaries of the Marmara Region. Ballikayalar Valley şs 1.5 km long, 40-80 m wide and it is a narrow and deeply caved “Strait” in the shape of canyon. Ballikaya Valley has been caved by a stream- giving the name to “Ballikaya River”- in limestone in the close geological history from north to south. The river forms a small lake after the end of the valley and flows to Marmara Sea following the end of the lake in the name of Tavsanlidere river. The park is in the municipality boundaries of Tarasci of the district Seydisehir in the province Konya. Anatolian black pine and Taurus Fir as well as some types of oak and juniper are the most dominant species of the ecosystem in the region. 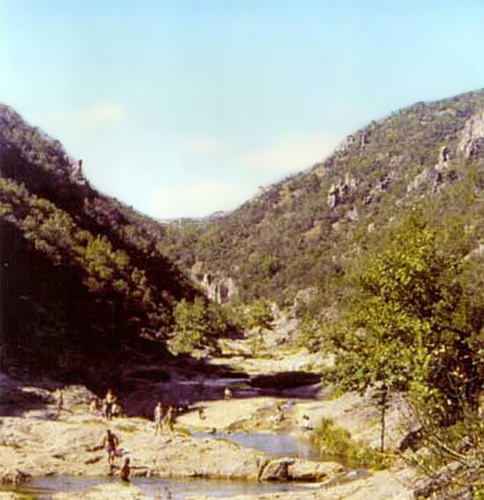 There are three open areas called Kucuk Oluk, Gudal and Hacihasan respectively in the park, which are suitable for recreational activities and which can still be used irregularly. It is possible to have picnics in the Park. 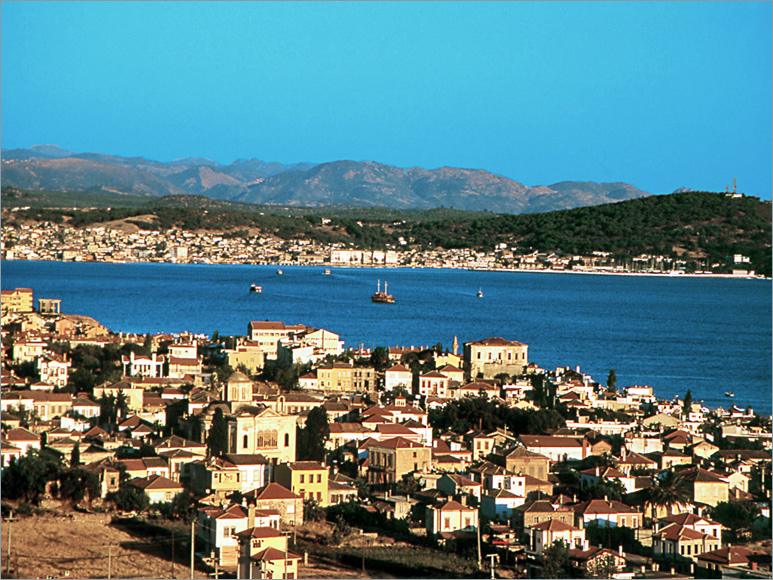 The park is located within the district boundaries of Fethiye of the province Mugla in the Aegean Region.. It is 128 km to Mugla. The park has wonderful coasts with excellent view, untouched flora and fauna and various water sports opportunities. myrtle, guilloche, carob tree and macquis is also found in the area where alder is the dominant type of tree Visitors of the park can participate in all kinds of water sport activities within the park, can have picnics; there are also accommodation facilities within the park. 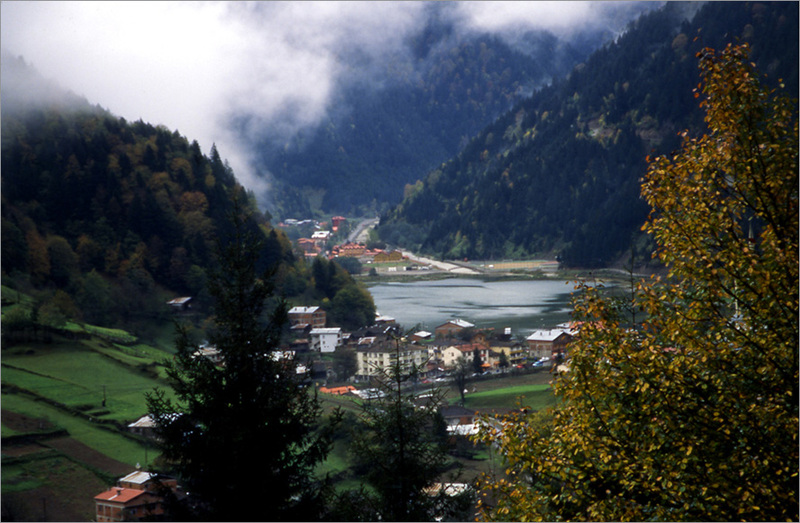 The Park is located within the boundaries of Caykaya of the province Trabzon in the Eastern Black Sea Region. It is 25 km to Trabzon and 19 km to Caykara. The dominant tree type within the Natural Park which has a wide variety of flora and wild life as well as beautiful landscape is the Eastern Laden. Beech, fir tree, badger, alder, hornbeam, nut tree, Istranca oak, mountain elm tree, maple, red pine as well as walnut tree and chestnut tree in the river can be seen in the park. The fauna of the park is composed of chamois, roe deer, bear, wolf, weasel, badger, bobcat, jackal, rabbit, fox, squirrel, wild ducks and predators among the bird species; lake and river trout among the fish species; and various amphibian and raptiles. The main stream of the park is Demirkapi stream. 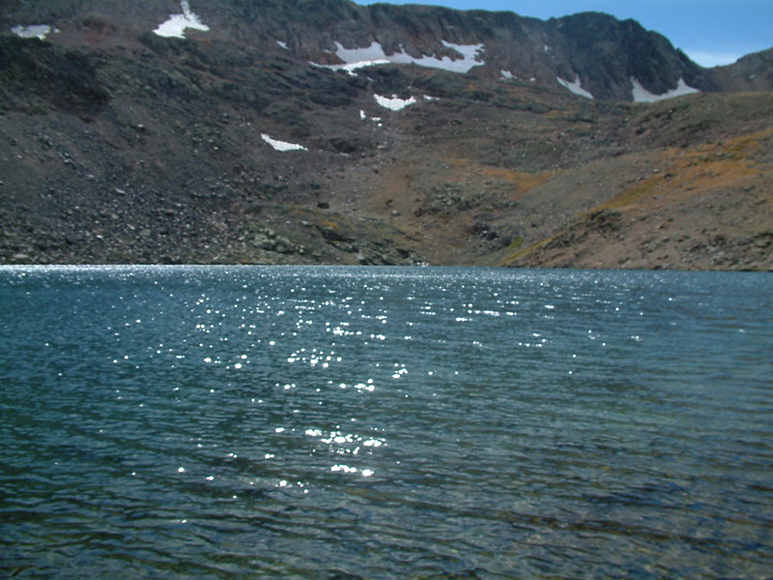 Uzungol is a lake which was formed as a result of the rocks blocking the Demirkapi stream. You can have picnics and go out for a walk around the lake. Mountains Nordizca is at a point of 3000 m altitude and 10 km to Uzungol. You can also have the possibility to accommodate within the park.